East Grand at Shead, 6 p.m.
Central Aroostook 79, Van Buren 24. Fort Fairfield 62, Wisdom 31. Southern Aroostook 75, East Grand 26. Fort Kent at Central Aroostook, 7 p.m.
Washburn at Easton, 7 p.m.
Presque Isle at Caribou, 7 p.m.
Houlton at Hodgdon, 7 p.m.
Southern Aroostook at Katahdin, 7 p.m.
Fort Fairfield at Fort Kent, 7 p.m.
Shead at East Grand, 6 p.m.
Southern Aroostook 50, Hodgdon 45. Katahdin at Southern Aroostook, 6 p.m.
Houlton at Calais, 6:30 p.m.
Fort Fairfield at Easton, 7 p.m. Brewer at Black Hawks, 1 p.m.
Presque Isle vs. Kennebec at Colby College in Waterville, 6 p.m.
Hampden at Presque Isle, 7:15 p.m.
John Bapst at Black Hawks, 6 p.m.
John Bapst at Presque Isle, 1:15 p.m.
Black Hawks at Messalonskee, 6:30 p.m.
Presque Isle at Black Hawks (Houlton), 6 p.m.
Class B Regional Championships at Ellsworth, 9:30 a.m. Boys PVC Championships at UM-Orono, 6 p.m. 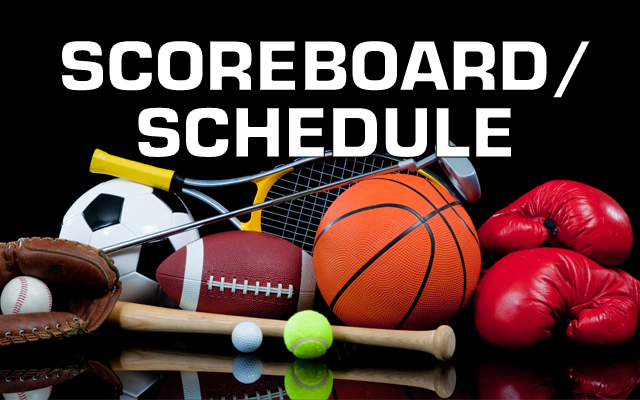 Girls PVC Championship at UM-Orono, 1 p.m.
Caribou, MSSM, Ashland, Fort Kent and Madawaska at Presque Isle, 3 p.m.
Aroostook League Classical Championships at Caribou, 2:30 p.m.
Aroostook League Freestyle Championships at Fort Kent, 2:30 p.m.
Caribou, Central Aroostook, Presque Isle and Fort Kent at Lonesome Pine Trails in Fort Kent, 5 p.m.
Caribou, Fort Kent and Presque Isle and Central Aroostook at Bigrock in Mars Hill (giant slalom), 9 a.m.
Caribou, Central Aroostook, Presque Isle and Fort Kent at Bigrock Ski Area in Mars Hill, 3 p.m.
State Championships at Augusta Civic Center: Class D: Central Aroostook, 10 a.m.; Class B: Presque Isle, 2 p.m.; Class C, Houlton, 2 p.m.